Did you know “The Nautical Lifestyle” is quickly becoming the hub for both boaters and the marine industry? It’s true! Boaters are coming here to The Nautical Lifestyle for information. 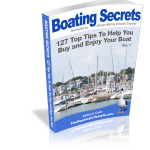 It doesn’t matter if you’re into sailing, recreational boating, a first time boater, or an old salt; we have lots of information for you. Take a look around and come back often. Fill out the Sign Up form to the right to stay informed of our current activities, articles, and the like. As you go through our website and blog, you’ll find articles, photographs, videos, interviews, books, and more for your entertainment. A lot of sail and power boat materials overlap, but if you’re looking for something specific do a search on our pages or look for a tag in the right hand column. In the marine industry business? Check out our partner site RobinGColes.com for writing articles, case studies, interviews, marketing, and more. The majority of our work is Business-to-Consumer (B-C) on this site, but we can handle Business-to-Business (B-B) as well. If you’re looking for something specific contact us here. We are continuously adding new spokes to our Wheel to help you move forward in the marine industry.